http://www.caltrain.com/riderinfo/Parking.html indicates which Caltrain stations have parking (e.g. http://www.caltrain.com/stations/mountainviewstation.html -> "340 [parking] spaces; pay through ticket vending machine"), but I couldn't find any information regarding which Caltrain stations have parking for Caltrain train customers only. 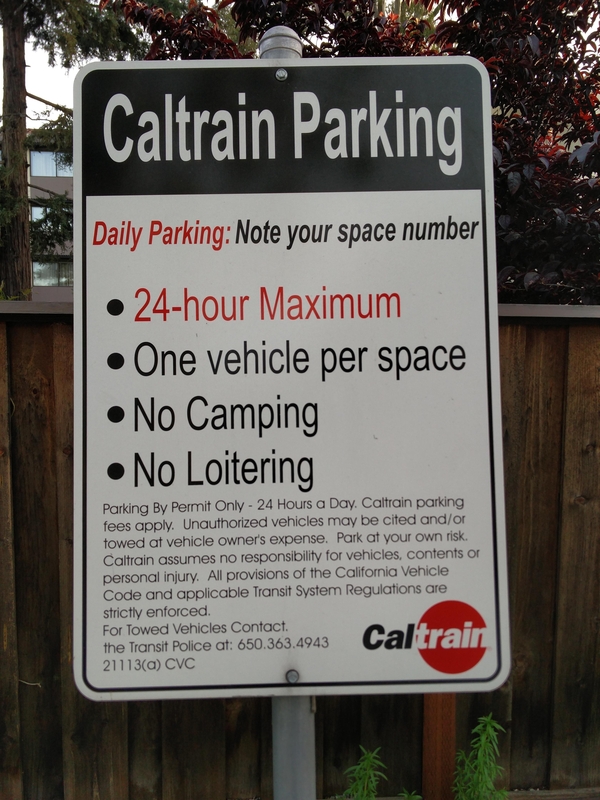 Looking at the Caltrain parking signs online, I see some mention "Permit Parking for Caltrain Patrons ONLY" or some don't. 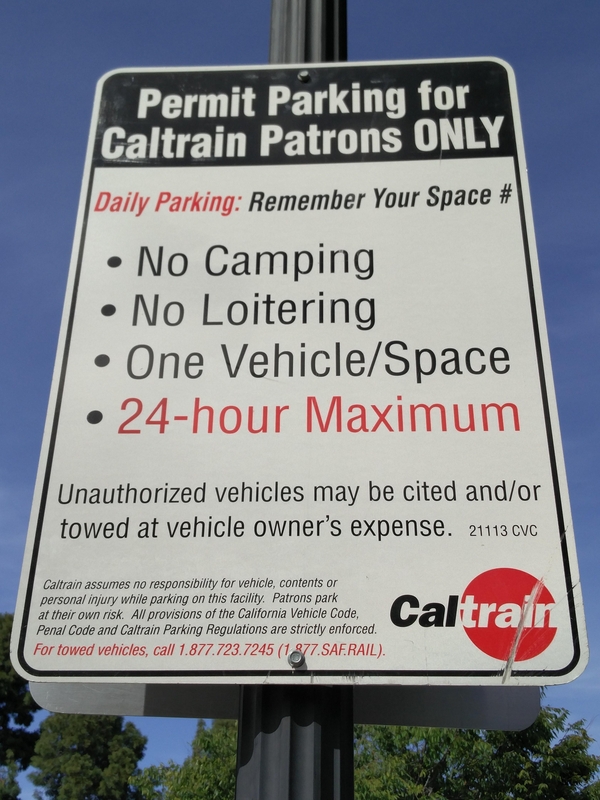 E.g., from https://www.parkme.com/en-gb/lot/187135/mountain-view-station-mountain-view-ca, found by Nate Eldredge: "Permit Parking for Caltrain Patrons ONLY". Note that parkme.com doesn't have a picture of the parking sign for each Caltrain station (e.g. https://www.parkme.com/en-gb/lot/225138/sunnyvale-station-sunnyvale-ca). From my experience in a number of cities, parking maintained by the authority or agency will have such restrictions unless the parking lot is shared with another facility. Again from experience, I would not expect this specific detail to be published since they probably just never thought to do so. FYI, how the 'customer only' restriction is often enforced is by putting the parking payment facilities inside the fare zone. Meaning, you can only pay for parking after buying or having a ticket and passing through a gate or turnstile. However, this may not apply to all Caltrain stations as I recall some have turnstiles while other have an open platform. Again, I doubt this specific detail is published since, to Caltrain, it doesn't matter. Does buying a Caltrain ticket make you technically compliant? Probably, but who know how far they take enforcement.